ban ban homemade noodles is definitely one of my top five favorite things to eat. i don’t know what the other four are, but this one is definitely up there. in chinese, “ban” means “to mix together.” this dish is actually very easy to make, as it is simply mixing together a bunch of liquid sauces/condiments with noodles. but if you want to take it to the next level, you make homemade noodles. 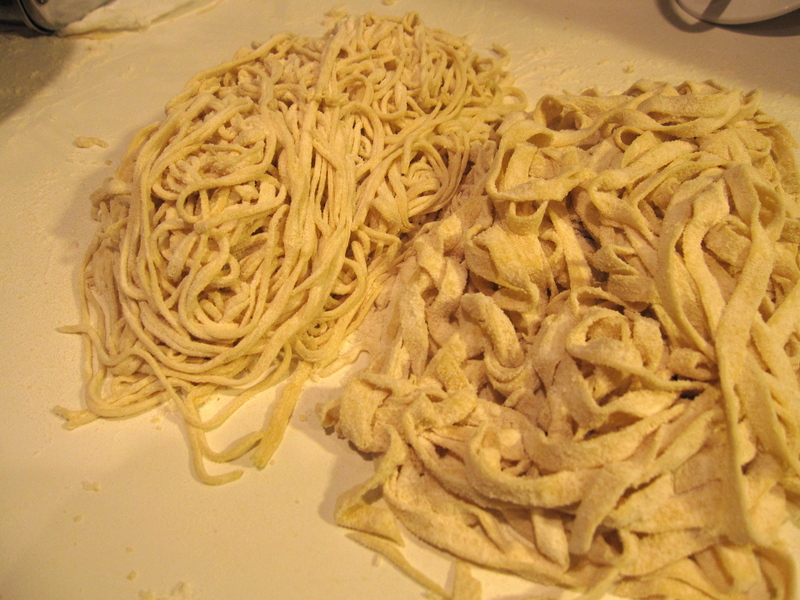 The (approximate) recipe for making noodle dough is two cups of flour, two large eggs, and 1-2 tablespoons of water. You can knead it with your hands for several minutes or you can use a handy stand mixer and then knead for 1-2 more minutes. Add more flour or water to achieve proper consistency. To cut the noodles, you can do it the old fashion way and roll out the dough into a thin plank and run your knife across….or you can do it the modern way with a stand mixer noodle attachment. And you can even cut them into different widths and types (fettuccine or spaghetti). Ah, technology. 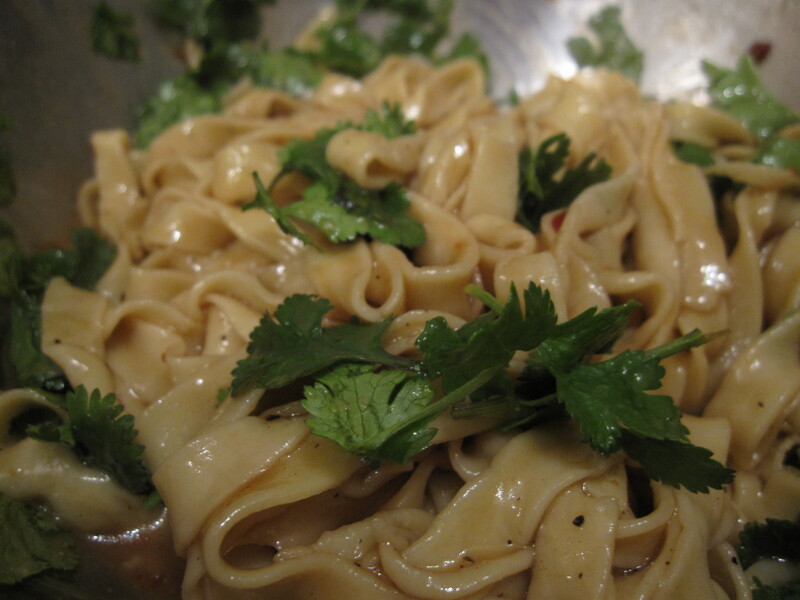 Homemade or fresh noodles take much less time to cook, probably 3-4 minutes and they are good. Even less if you like it al dente. While the noodles are cooking, you make the sauce. Now here’s where the post gets a bit useless, because I never measure, I just eyeball it. Mix 1/4 cup of soy sauce with a dash of each of the following sesame oil, peanut oil, white vinegar. Add a generous amount of pepper (salt is unnecessary since you’ve already got the soy sauce). Then add chili sauce, as necessary. 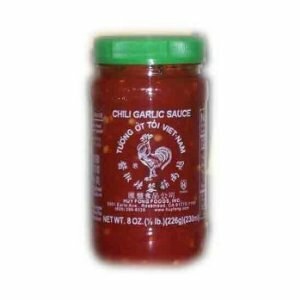 We like it hot, so we usually throw in at least two teaspoons of the red garlic chili sauce. You know, this one. Drain the noodles and pour them into your sauce mixture. Then you “ban ban,” or mix it all together. Throw in some garlic if you’re adventurous and then some cilantro for garnish. All done! So easy to make and SOO good to eat. 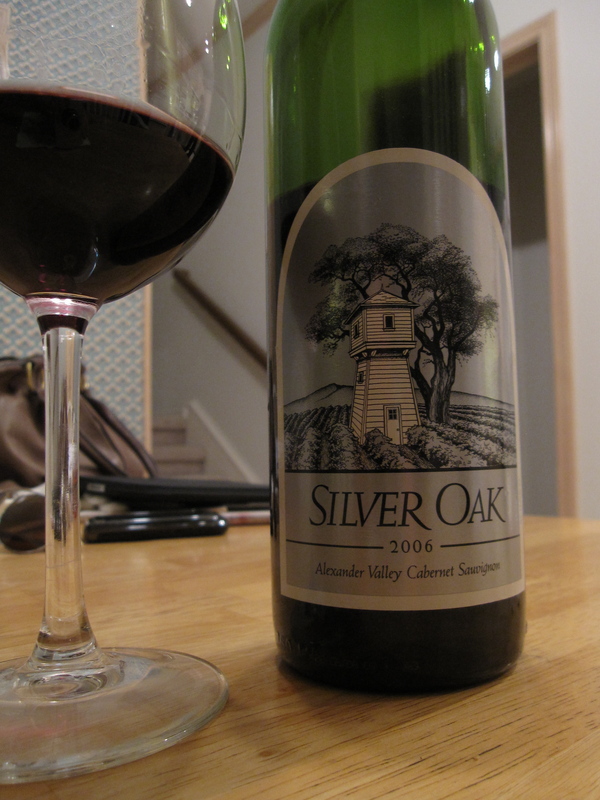 Pair it with a bottle of good wine and a redbox movie and call it a night. thanks alerian!